The Committee for Regional Development held its meeting on 18th June 2014 at the Headquarters of the Belfast Harbour Commissioners. During the meeting, Members received a briefing from NI Water in relation to Price Control 15 and a departmental presentation on its Long Term Water Strategy. 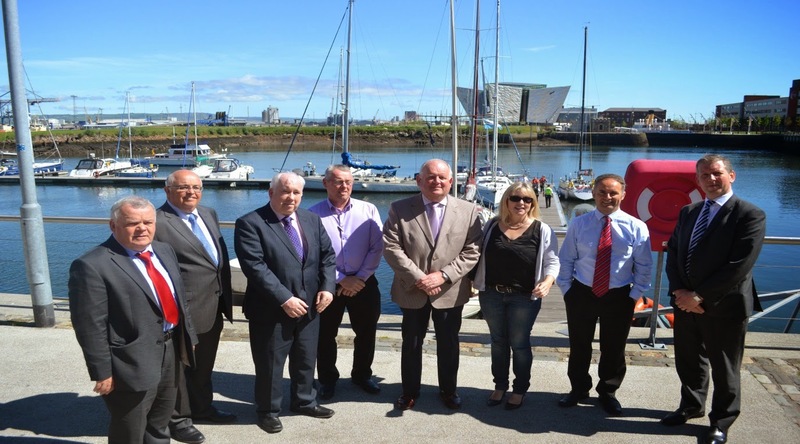 After this programme of water issues, the Committee took to the waves for a boat tour of the Belfast harbour Estate. Members were accompanied on the boat by Mr Roy Adair, Chief Executive of Belfast Harbour Commissioners and a number of his Senior Management Team. Members of the Committee were joined by Mr Roy Adair, Chief Executive of Belfast Harbour Commissioners (2nd left) and Mr Graeme Johnston, Property Director of Belfast Harbour Commissioners (far right). First stop on the tour was the site of City Quays 1, a £250m development which will convert 20 acres of ex-shipping land into ‘Grade A’ office, residential and leisure space. The numerous quays on the Harbour were awash with activity as large cargo ships loaded and unloaded their shipments. Joe O’Neill, Commercial Director at Belfast Harbour Commissioners, explained that the port handles over 80% of Northern Ireland’s petroleum and oil imports, as well as over 90% of the country’s grain and animal feed imports. As the trip neared the mouth of the Lough, Members were greeted with the site of the Stena Line Ferry leaving Belfast for Cairnryan. Along with the regular Liverpool sailing, the ferry port carries over 1.3 million passengers a year. one of the jewels in the crown of Belfast Harbour. 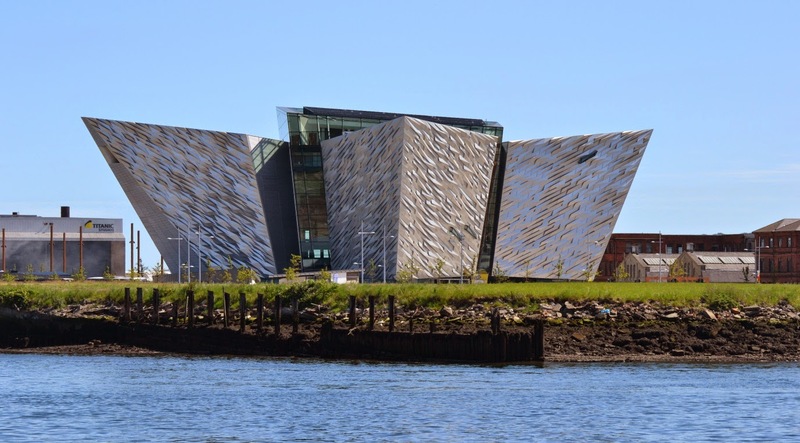 Belfast Harbour is not just about large industries, vast warehouses and iconic buildings, but is also home to an RSPB Nature Reserve; a 33 acre site which is one of the best urban bird spectacles in the UK. There was further evidence of the diversity of the Harbour when the local seal colony made an appearance in the fine June sunshine. With its 2000 acres of land, 1000 acres of water and 32 miles of roads, this city within a city made a real splash with the Committee! Keep up to date with the work of the Committee by visiting their webpage.